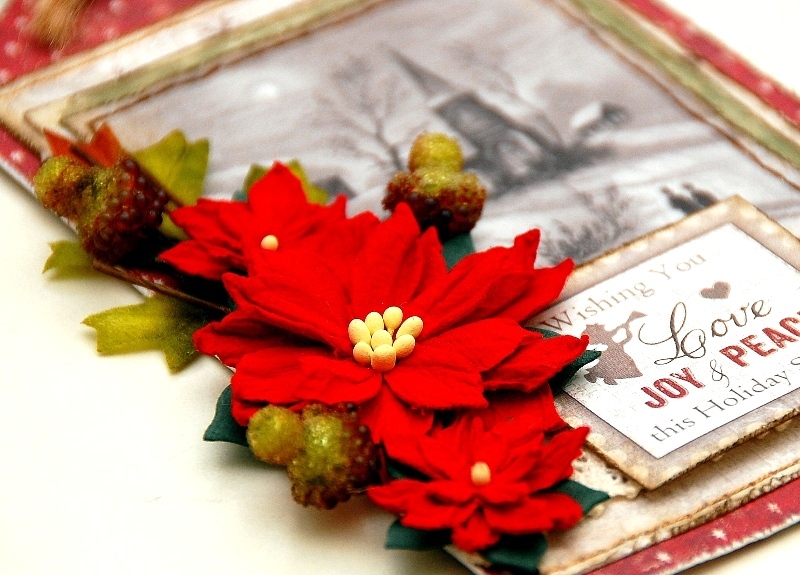 Hello Maja Design fans!It’s Irene here today and it’s time for me to share a project for this Christmas. 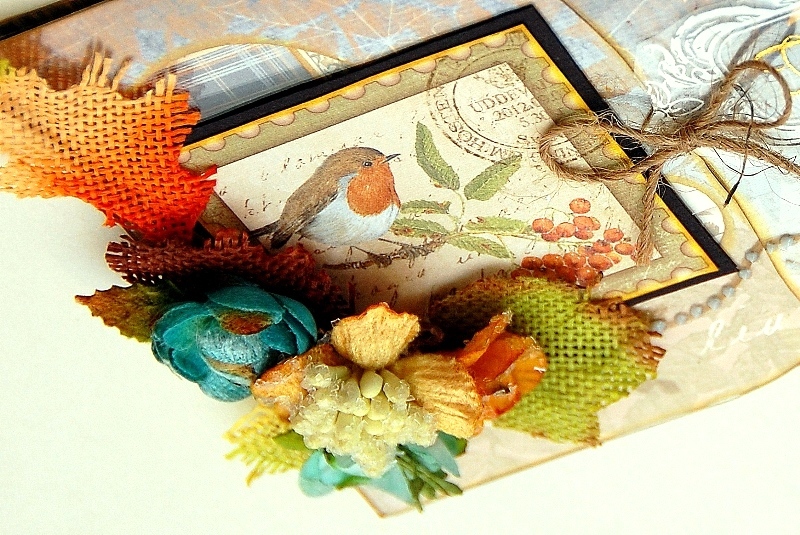 The project for today is a tag/card which I’ve created using Maja Design “A Gift For You” collection. This is a bigger than normal tag which is perfect as a card for a friend on this Christmas. The recipient can hang it onto their Christmas tree as a home decor. I love the gorgeous vintage colors in this collection. 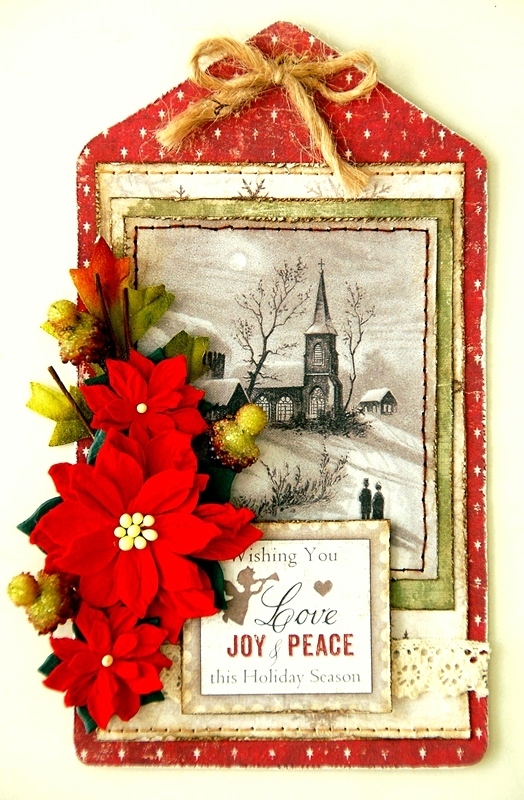 I’ve chosen green, red and grey colors to create the layering for this card. To create some intricate details on it, I’ve hand stitched on this card. Hope you all like this simple card and I would like to take this opportunity to wish you all Happy Holidays!! 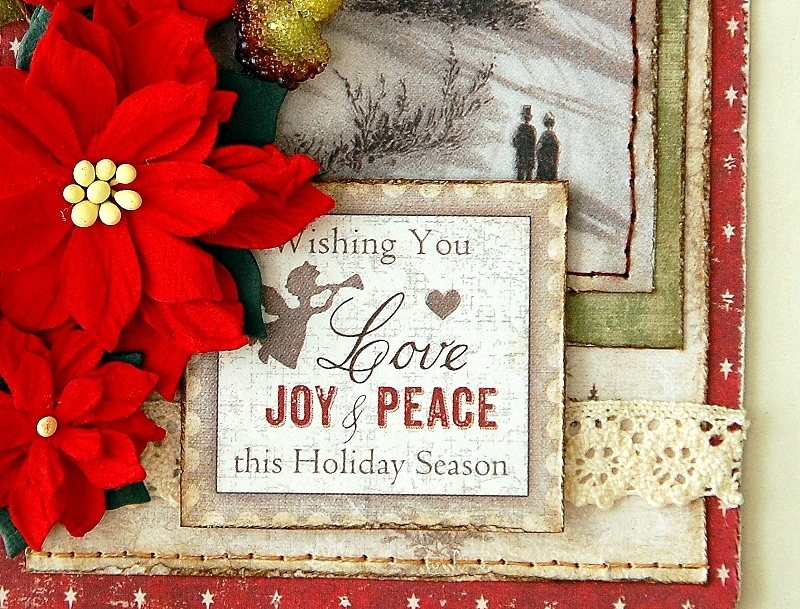 Supplies: Maja Design Pattern Papers: Given From The Heart – A Gift For You, Wishing You Peace & Joy – A Gift For You, From Santa with Love – A Gift For You, Shipped From The North Pole – A Gift For You; Others: Petaloo flowers and berries, twine, lace, thread for stitching, adhesives. Where can you purchase Maja Design Papers? MajaDesign collections are sold all around the world – 33 countries and growing with new stores being added often. Are you looking for a store location that sells Maja collections? Here is a helpful Store Finder link to help you shop. If your favorite store is not on this list, consider asking them to carry Maja Design. Hello Maja Design fans! It’s Irene here and this time, I would like to share with you all a card for a friend which I’ve created for the last Thanksgiving. 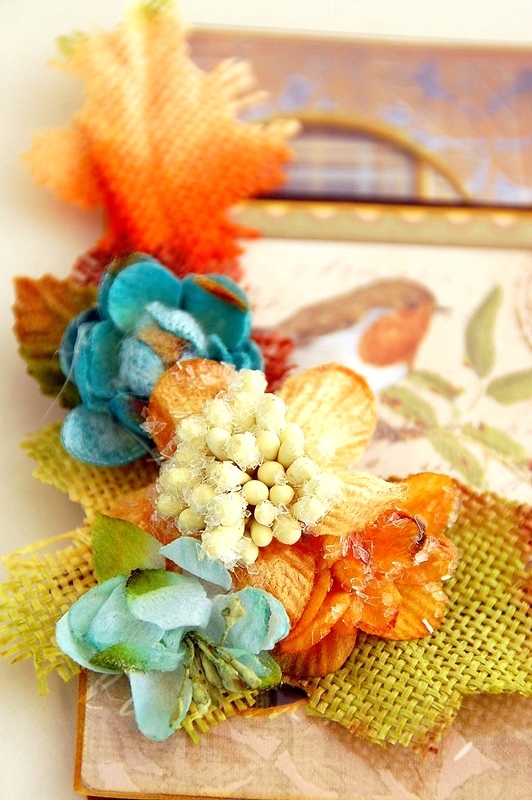 I’ve used Maja Design’s “Walking in The Forest” collection which has tons of beautiful Autumn colors and designs. I’ve used an acrylic card by Clear Scraps to create this card. To keep the glossiness of this card, I’ve attached the pattern papers to it from its back. To decorate the front of this card, I’ve cut out a printed stamp from this collection and added tons of textured flowers and leaves by Petaloo. 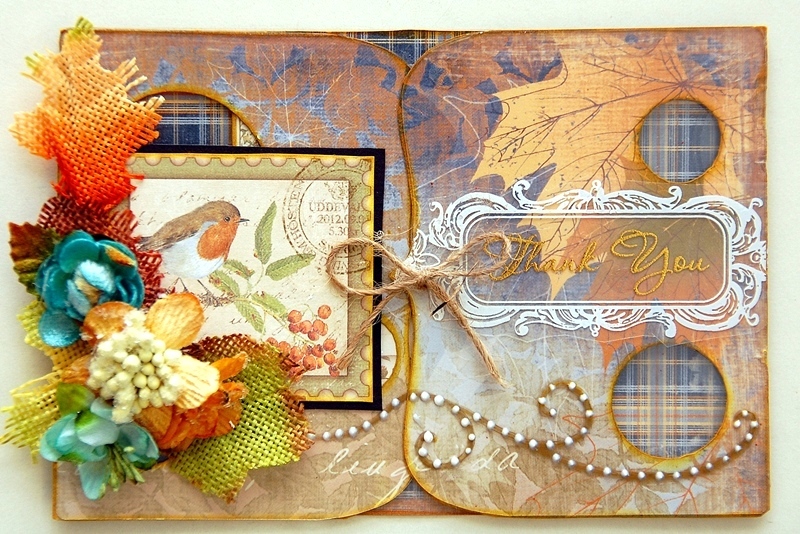 I’ve chosen flowers and leaves of the warm Autumn colors for this card. Hope you all like this simple card and have fun scrapping! Supplies: Maja Design Pattern Papers: Die Cut Sheet – Walking in The Forest, Flannel Shirt – Walking in The Forest, Autumn in The Air – Walking in The Forest; Others: Clear Scraps acrylic card, rub-ons, twine, Petaloo leaves and flowers, liquid pearls, adhesives. Hello Maja Design fans! It’s Irene here with you all today. I realized that I’ve not shared a layout with you all for sometime already. Therefore, for today’s post, I would like to share a layout featuring Maja Design’s “Walking in The Forest” collection. To create this layout, I’ve chosen most of the neutral tones with a hint of blues and orange. To add a splash of colors to this layout, I’ve misted its background with some blues and browns. 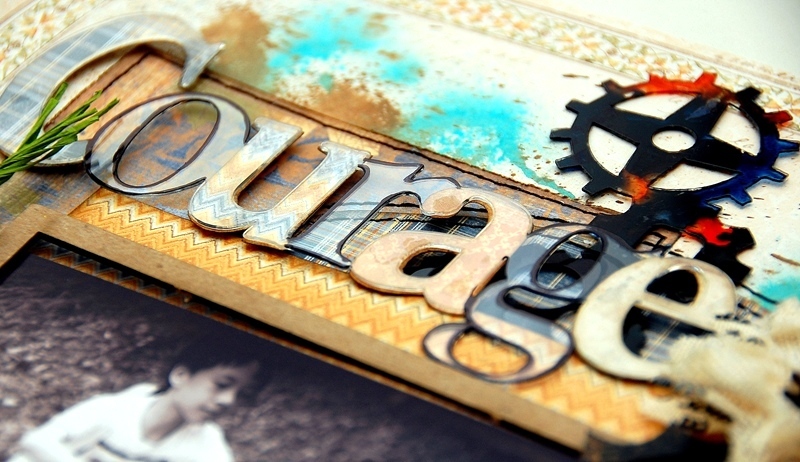 To add some different elements to this layout, I’ve used some acrylic and chipboard pieces. The burlap flowers also adds tons of textures to this layout. I really love the warmth and colors of the Autumn. Hope you all are inspired by this layout and start creating something Autumn related. Hope to see you all again soon! Supplies: Maja Design Pattern Papers: Birdsong – Walking in The Forest, Flannel Shirt – Walking in The Forest, Knitted Sweater – Walking in The Forest, Autumn in The Air – Walking in The Forest; Others: Clear Scraps acrylic and chipboards, twine, Petaloo flowers and picks, paints, inks, stamps, masks, adhesives. Hello Maja Design fans! It’s Irene here with you all today and this time, I would like to share with you all a mini album featuring Maja Design “Enjoying Outdoor” collection. 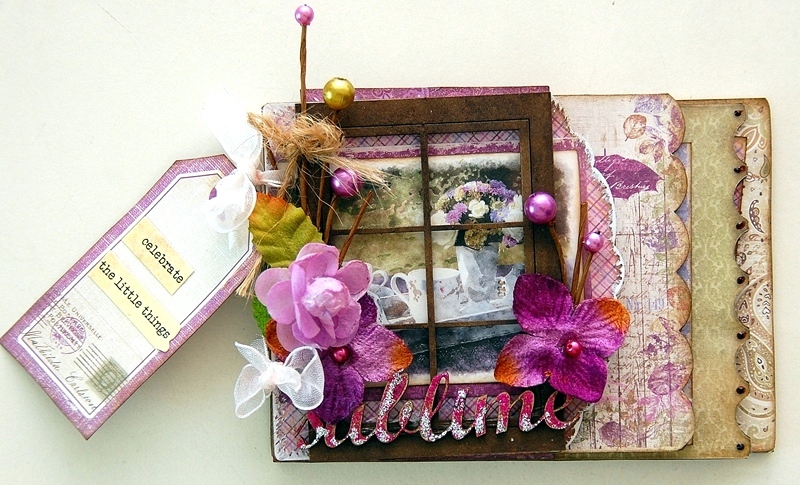 I really love the purples, browns and greens in this collection which totally reminds me of the beautiful outdoors. 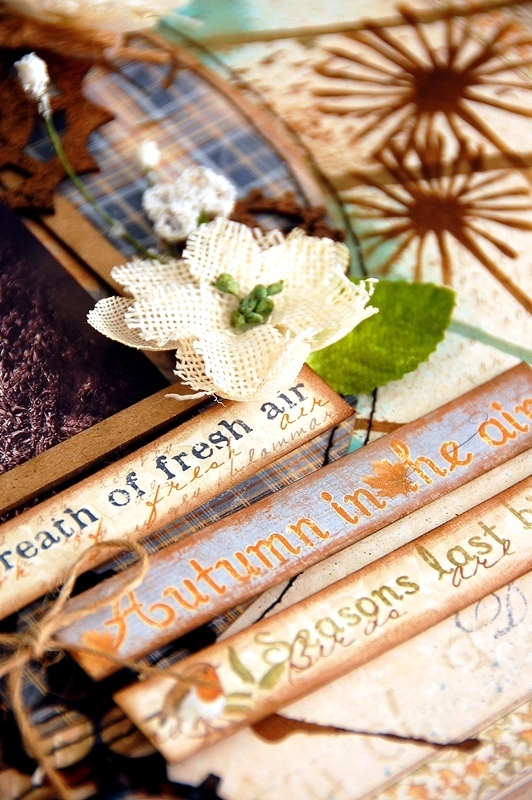 I’ve used a mixable mini album which consists of pages made from chipboard and acrylic. 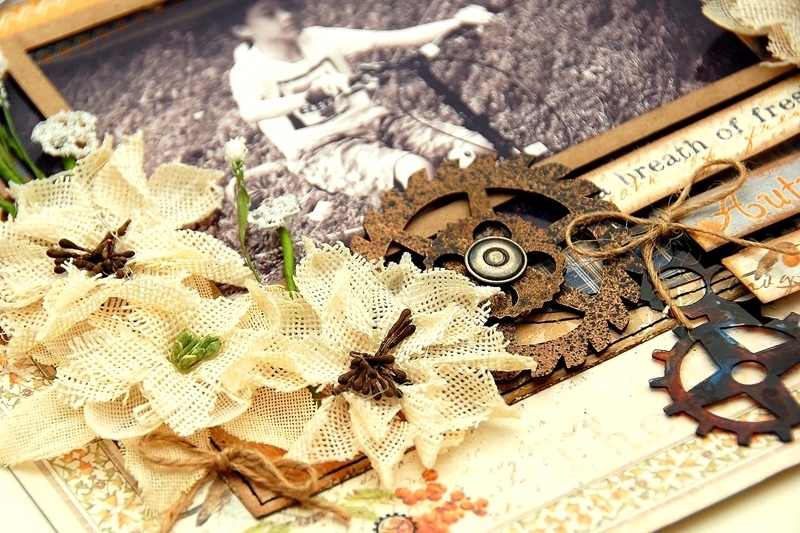 It is so much fun creating using this mini album. Here are some details on it. 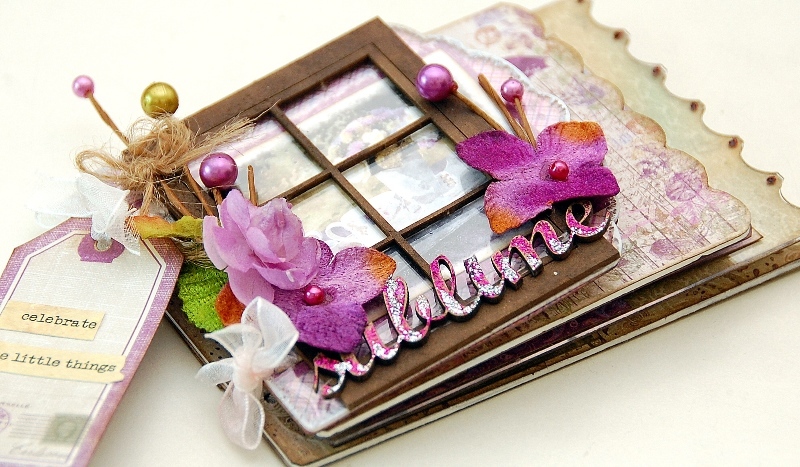 I’ve used a chipboard window and some flowers to decorate the cover of this mini album. Here are some pages in it. This mini album is perfect for some relax journaling or beautiful pictures of the outdoors. Hope you all like today’s project and hope to see you all soon! Supplies: Maja Design Pattern Papers: Singing in The Rain – Enjoying Outdoor, Feeling Good – Enjoying Outdoor, Autumn Picnic – Enjoying Outdoor, Colourful – Enjoying Outdoor, Scent of Lavender – Enjoying Outdoor, Gardening – Enjoying Outdoor, Woodlands – Enjoying Outdoor, Beautiful Trees – Enjoying Outdoor, Garden Moments – Enjoying Outdoor, Tags & Journaling Cards – Enjoying Outdoor; Others: Petaloo flowers and berries, Clear Scraps mini album, chipboard window, ribbons, adhesives. Where can you purchase MajaDesign Papers? MajaDesign collections are sold all around the world – 33 countries and growing with new stores being added often. Are you looking for a store location that sells Maja collections? Here is a helpful Store Finder link to help you shop. If your favorite store is not on this list, consider asking them to carry MajaDesign. Hello Maja Design fans! It’s Irene here with you all today. Have you seen the new and gorgeous, “Enjoying Outdoor” collection by Maja Design? Recently, I’ve received this collection and instantly fell in love with it. Therefore, I’ve started playing with it by creating this little bookmark. My daughter, Chloe, had asked me for a bookmark for a while now. The colors in this collection are some of Chloe’s favorites. With that, I’ve decided to go ahead and create this bookmark for her. This is a very simple bookmark. Here are some close-ups on it. Since this is going to be a usable bookmark, I’ve decided to keep this bookmark flat and not adding too much dimension to it. Hope you all like today’s project and see you all again soon! 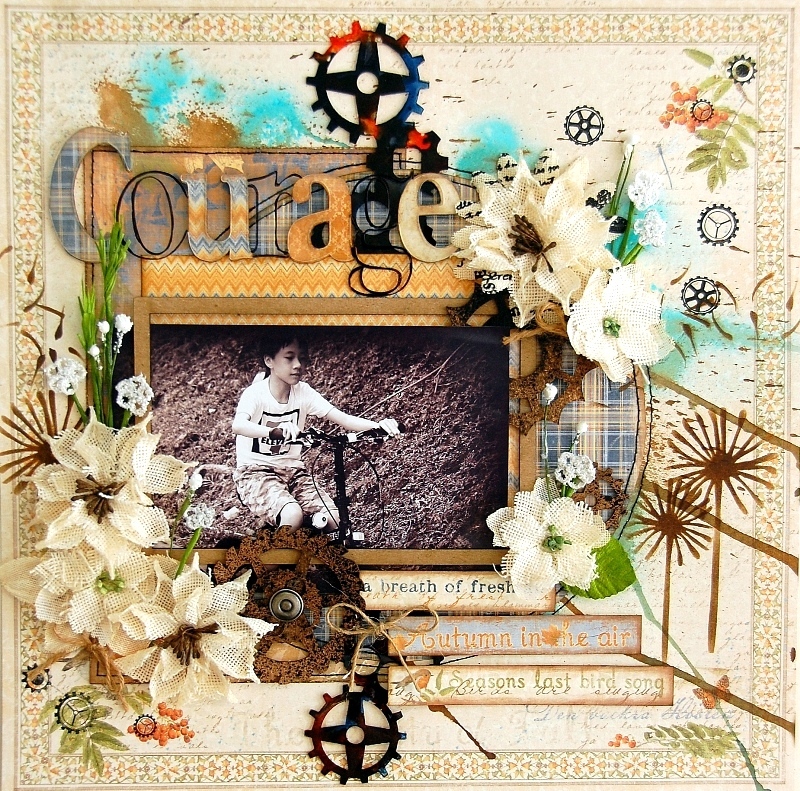 Supplies: Maja Design Pattern Papers: Singing in the rain-Enjoying Outdoors, Colourful-Enjoying Outdoors, Garden Moments-Enjoying Outdoors; Others: Clear Scraps acrylic frame and stencils, ribbon, stamps, brads and adhesives.